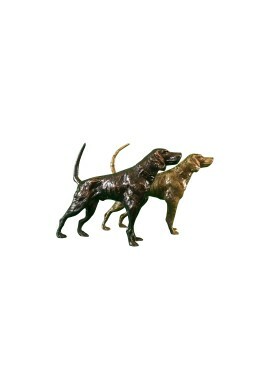 Man's best friend is commemorated in this charming statuette from DecorShore. 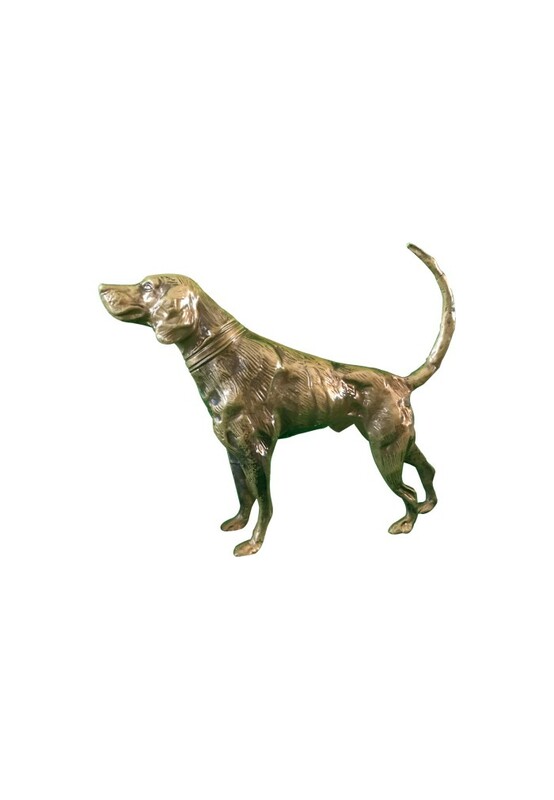 Artisanal vintage styling is evident throughout the craftsmanship of this bronze hound dog figurine that stands over 8 inches tall. The perfect elegant decorating accent with a traditional appeal. 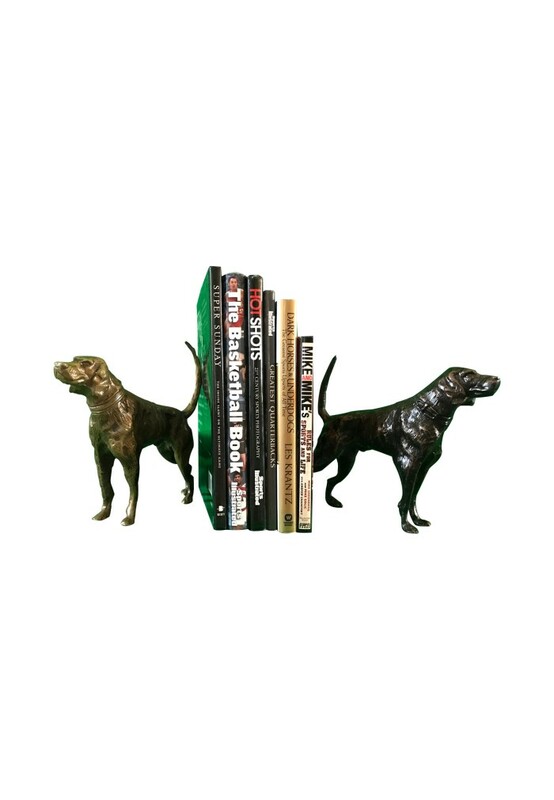 Our distinctive canine statue is well-suited to grace shelves within a den or study, provide a touch of masculine sophistication to your man cave, or lend the finishing touch to an accent tabletop. With hundreds of different uses, this unique sculpture is the perfect gift for any decor lover, or the distinctive collector who seems to have everything. DecorShore's product are always handmade, always unique. You can use these statues as book ends, paperweights, garden decor, outdoor table cloth weights, study room accents, and so much more. 8 inch statuette is handcrafted and completely unique, transitional in style appeal and perfectly capable of being considered 'masculine'. Featuring a classic artistic style, and not characterized or "cutesy". 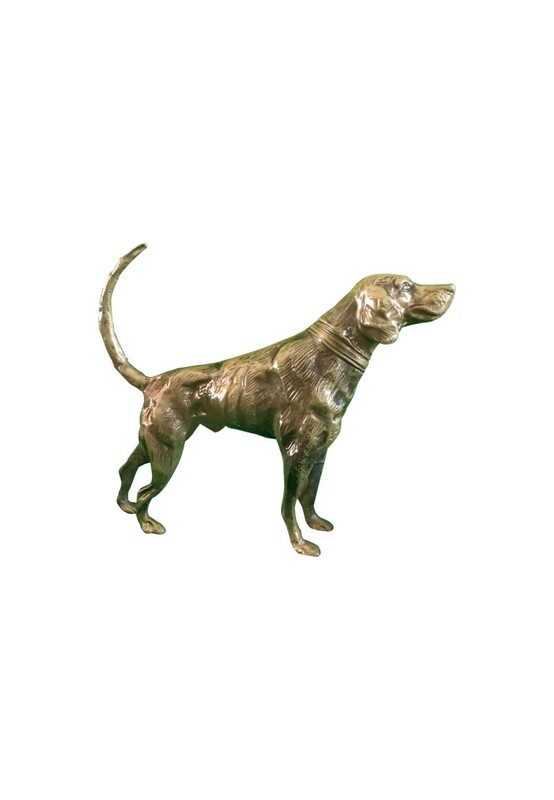 Oil-rubbed bronze finish is well-suited for a variety of decorating themes. Intricate carvings and markings make for a realistic, elegant decorative accessory.